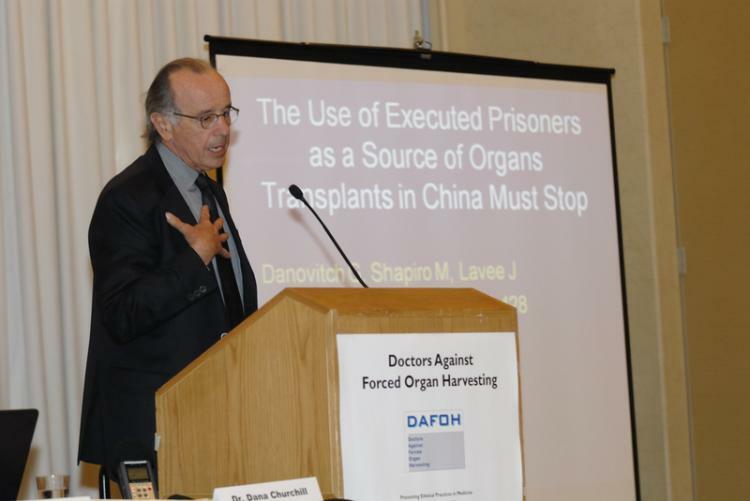 China’s forced organ harvesting is an inescapable responsibility for the global transplant community, including transplant patients, voiced a panel of experts in Philadelphia on May 1. Held alongside the 2011 American Transplant Congress, the panel discussion, titled Global Transplant Community at Medical Crossroads, saw a hotel ballroom full of participants. 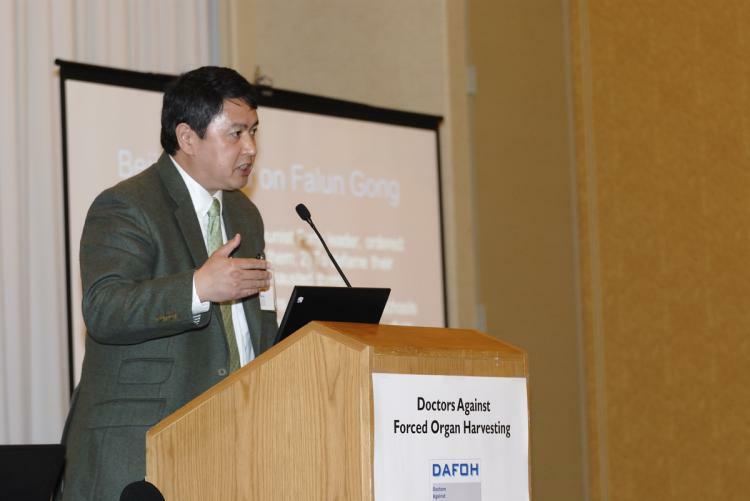 Hosted by the NGO Doctors Against Forced Organ Harvesting (DAFOH), the panel raised the question of how the transplant community in the West should respond to China’s use of organs harvested from executed prisoners and unidentified sources, an unacceptable practice according to the international medical ethical standards. International pharmaceutical companies have played a major role in helping to perpetuate the unethical practice of organ harvesting through their drug trials in China, according the speakers at the panel discussion. Dr. Eric Goldberg, senior medical director of ICON, a global clinical research company, pointed out that the low cost of developing clinical trials in China—roughly 15 percent of that in the United States—makes it very appealing to the pharmaceutical companies that try to develop drugs with a limited budget in a recessive economic environment, adding that China also offers the companies the extra benefit of speeding up the drug development process by having a large number of patients and fewer regulations. “The issues that we deal with at the FDA, the EMA, [and] Health Canada, they just don’t exist in China. There’s much less scrutiny” Dr. Goldberg said. Yet while many international pharmaceutical companies have carried out research in China, not many are ready to acknowledge their roles on the issue of China’s unethical organ harvesting, according to the panel’s speakers. According to Matas and Kilgour’s investigation in the years 2002-2006 there were 41,500 transplant operations for which the Chinese regime could not provide a source. They believe detained Falun Gong practitioners are the most likely source for these organs. Roche’s former CEO and present chairman of the board of directors said, “In China there were no ethical or cultural stoppages for transplant medicine,” according to Mr. Matas, who noted that the statement is an acknowledgement of Roche’s knowingly conducting clinical trials in China while not showing concern for the unethical practices behind them. Ignorance on the part of the companies about the sources of transplanted organs is not an acceptable reason in the eyes of the panel’s speakers. “They can’t say they don’t know where the organ came from. 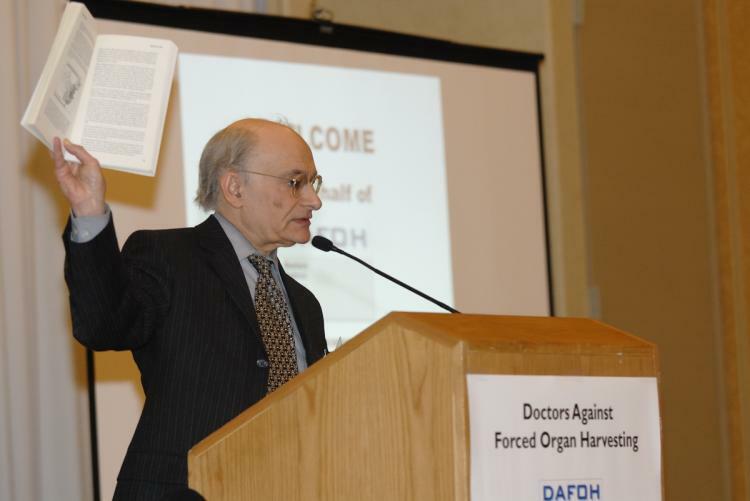 They can’t say they don’t care where the organ came from” said Dr. Caplan, professor of Bioethics at the University of Pennsylvania in Philadelphia, who was one of the panel’s speaker and is also the keynote speak of the 2011 American Transplant Congress. Roche won two shame prizes in 2010: the Public Eye Swiss Award and the Public Eye People Award for “irresponsible corporate behavior.” A Dutch investment bank Triodos disinvested from Roche in September 2010. Mr. Matas reported a watch list of multinational pharmaceutical companies that have conducted clinical trials on organ transplant anti-rejection drugs in China, including Wyeth (now part of Pfizer), Novartis, Roche, and Astella. These trials were performed on patients who receive organs harvested in China. 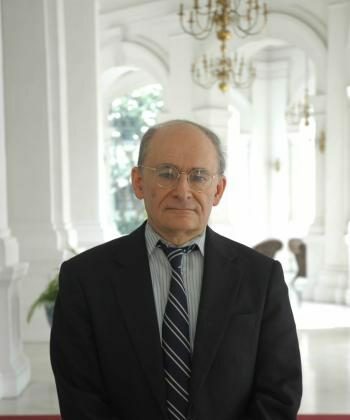 Last month, on the issue of China’s unethical organ harvesting, The Epoch Times tried to solicit comments from a number of pharmaceutical companies, and four companies are on Mr. Matas’s watch list. Both Isotechnika, a biopharmaceutical company based in Alberta, Canada, and Norvatis, a Basel-based pharmaceutical company, have responded. Launa Aspeslet, a representative of Isotechnika, told The Epoch Times on the phone that the company became aware of the issue and would send a representative to attend the panel discussion to learn more about it. And the representative did attend the Sunday panel discussion. Eric Althoff, a media spokesperson of Norvatis, provided a written response via e-mail. The statement says that Novartis supports the Declaration of Istanbul and the United Nations Declaration of Human Rights, adding, “We are committed to work with authorities and transplant societies to raise public awareness about organ donation and to ensure that highest international standards are adopted and observed." E-mails and phone calls to Pfizer and Astellas have not been returned.